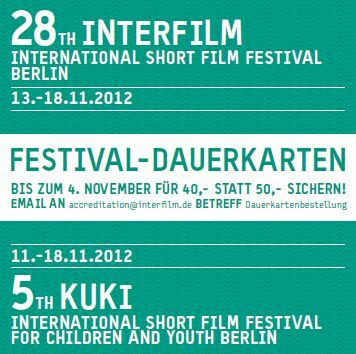 Directors, filmmakers, critics and fans of movies will soon be gathering for Interfilm’s International Short Film Festival Berlin. Now in its 28th year, the festival returns to the city for six days of short films from around the world. A total of 500 short films–narrowed down from more than 130 countries that submitted 7,000 entries–will be shown at various venues throughout the city. Events, venues and admission costs vary – check website for full programme; admission: €3 to €8 (individual events) / €25 (five ticket package) / €50 (festival pass).